Have you ever had one of those friends that if you don’t respond to them in a timely fashion they will start to tell the world (all your friends) that you are ignoring them or that you are anti-social and not worth inviting to any social event, wedding or party ever again. The reality is that you may have just been away holidaying on a remote island off Peru, kayaking in the Himalayas, climbing Mt Kilimanjaro, having a family crisis in London and New York at the same time or “yes” you really don’t want to talk to them. Facebook is often seen as “the” place to market to your customers but not as a customer service channel. The fact is that Facebook is real time and open for all the public to view with comments and posts that are asking and in some cases begging for responses that require constant care and attention. Private complaints via email or phone will only be known to a handful of people whereas Facebook’s messages are in the public domain making it imperative they are not ignored. Good public relations and customer service means being proactive and not being afraid of the new social web. It means engaging with both the good and the bad news and not running away and ignoring the messages and conversations. In a recent conversation with a customer I learnt an organisation’s PR was being dictated and controlled by an outsider who happens to understand and ‘gets’ that the web is open and that Google is indexing the on-line conversations and published content. The consequence is that whenever you Google the industry’s key phrases, it is not the organisation’s conversations or content that ranks on the first page but the vagabond “pirate” outsider’s comments and online properties that appear in the search results. The reality…. an outsider controls the on-line presence of the brand! What Major Brand’s Don’t Respond Well on Facebook? 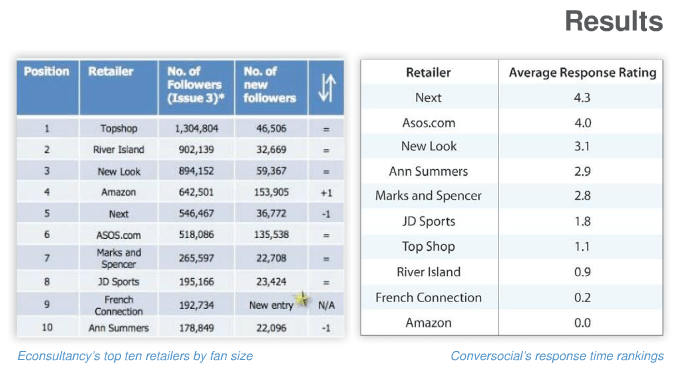 A recent survey by Conversocial analysed 10 top retail brands on Facebook to measure average response times and attitudes to engagement with customers. The surprising result was that the Amazon’s Facebook page revealed that in an entire week of investigation and on-line conversation Amazon did not reply to a single query, despite constantly putting out marketing messages. So how do you provide great customer service on Facebook? Don’t pick and choose who you will respond to… ignored complaints get noticed and you only need one customer to go viral and you have a PR disaster on your hands. If you cannot manage two way conversations on Facebook then it is maybe best to not play in the social networking pen. 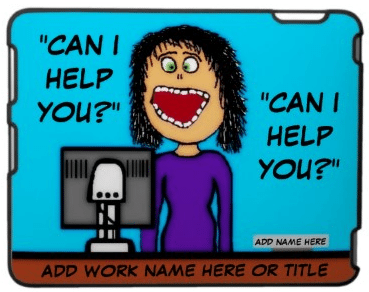 You are a human interacting (not a robot) so use your name and add some real human touches that may show your company’s light side..a touch of humour can put a smile on the dial. What tools do you use to manage your Facebook page? Do you respond to all your customer’s on Facebook or could you lift your game?